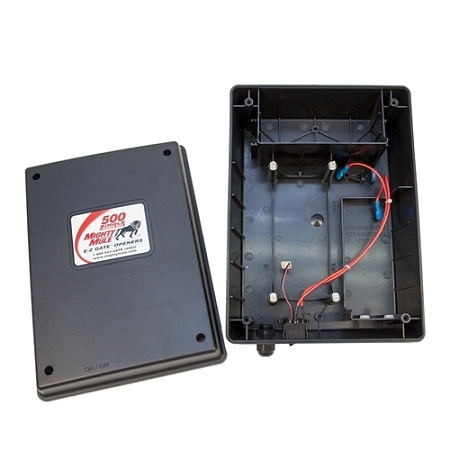 ***Loaded Control boxes include: control board, receiver, battery harness, alarm, on/off switch, strain relief, 4PCB standoffs, and 4control box screws for the cover. This product worked like a charm. My husband was trying to figure all sorts of work-arounds after our box was broken during a storm. I happened to find this empty box and he was able to put everything back together and it looks and works great. Was delivered quickly and in great shape. Thanks.